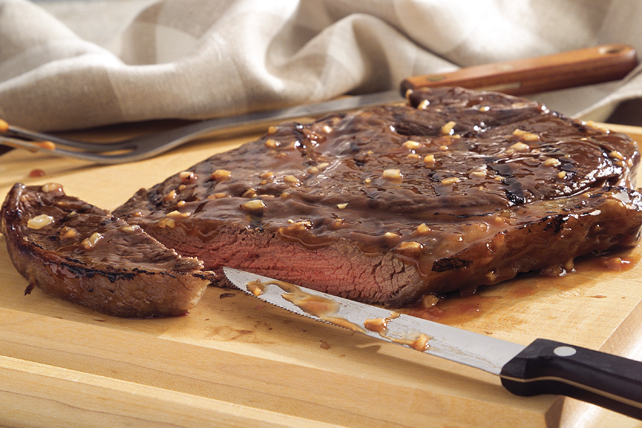 Our sirloin steak grills up to be tender and succulent with this restaurant-inspired barbecue sauce. It has a touch of heat and lots of flavour. Grill steak 8 min. or until medium doneness (160ºF), turning and brushing occasionally with barbecue sauce mixture. Steak can be cooked under the broiler instead of on the barbecue. Serve with a hot baked potato and mixed green salad tossed with your favourite Kraft Calorie-Wise Dressing.